 Picture this.... s Do you have a passion for the real estate industry? s Are you active in your community and/or your REALTOR ® association? s Have you wanted to take on a leadership position to help promote your group’s vision for the future? s Maximize your leadership potential within the REALTOR ® organization and your local community. 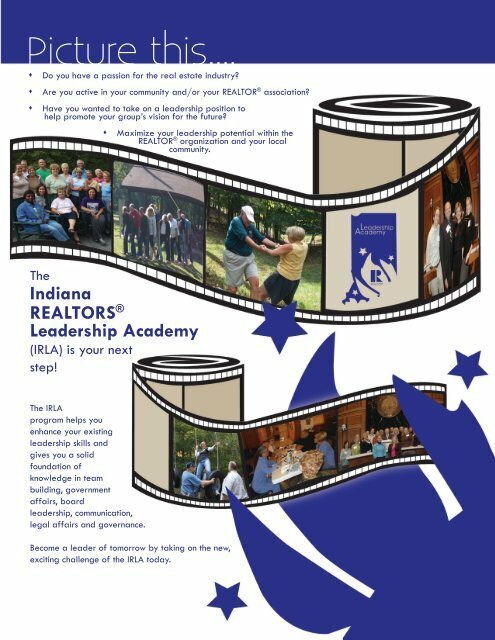 The Indiana REALTORS ® Leadership Academy (IRLA) is your next step! The IRLA program helps you enhance your existing leadership skills and gives you a solid foundation of knowledge in team building, government affairs, board leadership, communication, legal affairs and governance. Become a leader of tomorrow by taking on the new, exciting challenge of the IRLA today.